Providing your e-mail address ensures a reply. 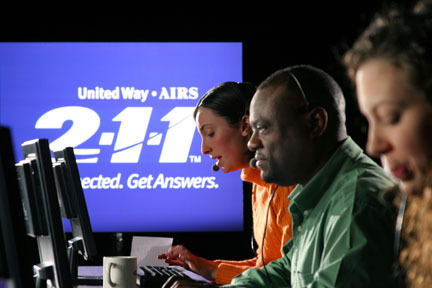 The United Way 2-1-1 information and referral hotline offers information about food, housing, employment, childcare, transportation, health services, senior services and much more. Last year, 2-1-1 helped 23,351 callers from New London County seeking assistance. 2-1-1 is funded by all Connecticut United Ways and the State of Connecticut.